2|entertain has confirmed the 1996 TV Movie will be released on DVD in North America. The news was given by the Commissioning editor of the Doctor Who range, Dan Hall, in an exclusive interview with Hoo on Who. 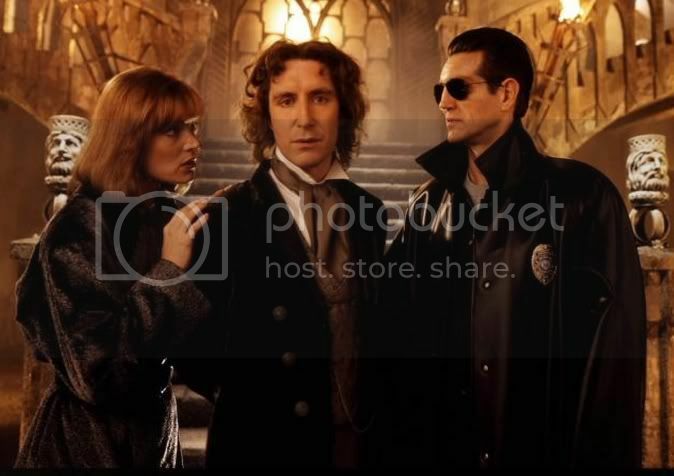 The TV Movie stars Paul McGann in his one television appearance as as the Eighth Doctor. It was made as a co-production between Universal Television, BBC Television, BBC Worldwide, and the Fox Network and as a result the DVD rights outside the UK were not, until now, available to 2|entertain. Following discussions between 2|entertain and Universal the situation has now changed giving North American fans a chance to own a Region 1 version of the story for the first time. The DVD is expected to be released in North America within the next twelve months. It will also be released in Australia and New Zealand. The Doctor to the rescue!